This weekend was spent mostly in the studio. We're trying our best to get all open orders out this week so that we can get to work on new designs. You'll never hear us complain about working on orders. We love the work, we love our collectors, and there's a very specific peace that goes along with being busy. It's so extremely hot outside, but we've got the air conditioning cranked, music playing, good candles…and snacks! Snacks are key! Currently, we really need to go grocery shopping. We've haven't be able to get to the store, so the cupboards are pretty much bare. We didn't think we had the makings to whip up a sweet treat, but then we came across this recipe that looked and sounded deelish, and it just so happened that we had every ingredient in our pantry. 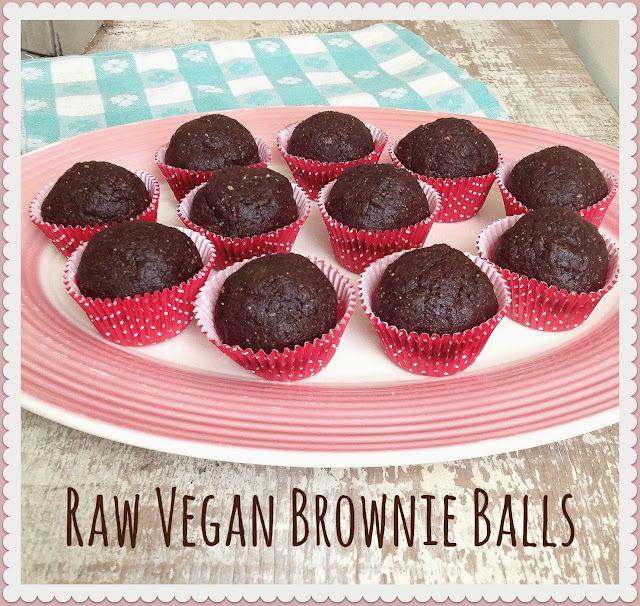 These Brownie Balls are raw, vegan, and there's no added sugar…just dates to bring the sweet. So this afternoon we took a little bit of time out to make them…and by "little bit" I mean about 10 minutes total! 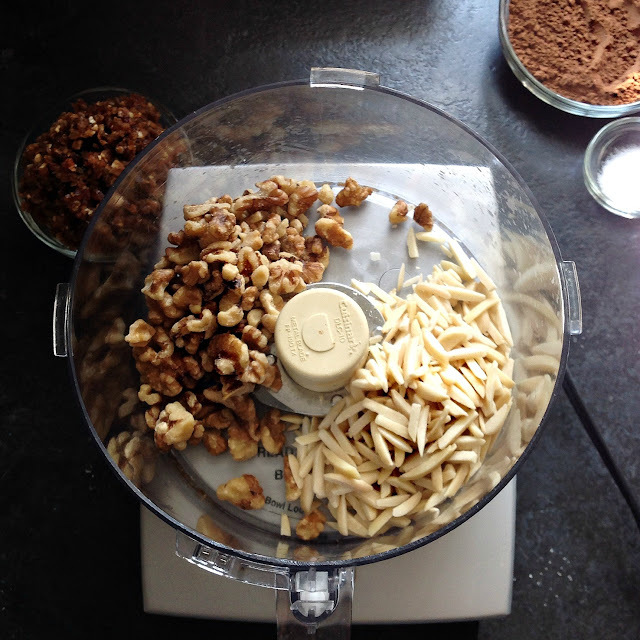 And that includes the time it took to gather the ingredients. They are so easy...and SO GOOD! So much rich, deep chocolate flavor...and that bit of sea salt makes them! This seriously couldn't be more easy! Add your walnuts and almonds to your food processor and process until it starts to resemble "dough". 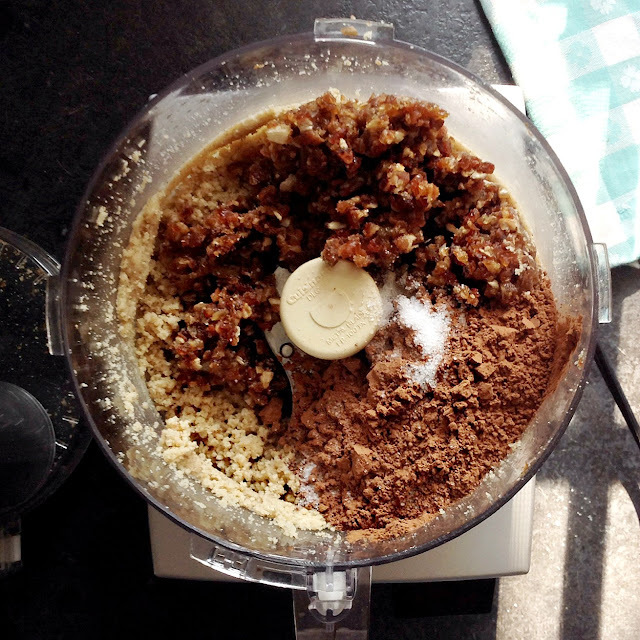 Now, add your dates, cocoa powder, and salt…and process until well combined and resembling chocolate cookie dough. And remember…these are raw! No baking! All you have to do at this point is roll your mixture into balls. 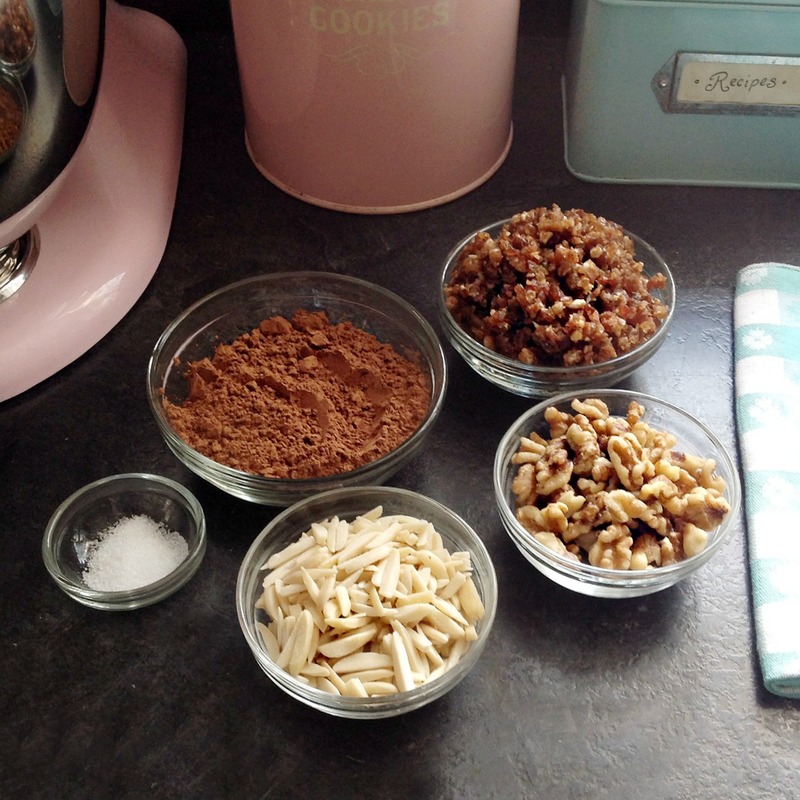 I used some little truffle cups…but you could just put them on a plate. Then pop them in the fridge for about an hour…and Enjoy! In mid summer, why turn on the oven when you can make these balls of goodness in mere minutes! 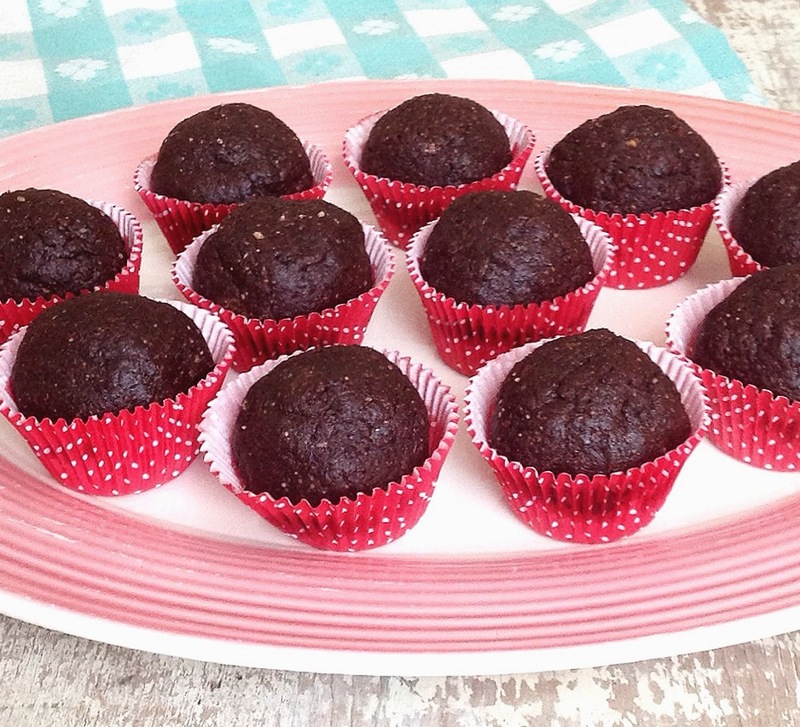 These are so good, and we just had to take time out of our schedule to share this recipe today! We're just about to unwind for the evening with a couple of our fave shows…and I think it's also time for a second serving of dessert. I like the fact that there's no added sugar!